I was beyond thrilled to start The Amazing Race in Japan as the country has been on the top of my travel "to go" list for years! Thank you Japan for helping #thelegalteam finish the first two legs in first place! As you probably guessed, I didn't get to spend too much time in Tokyo or Nagano on a race around the world so I'm definitely going back later this year to retrace my steps and explore the country with just a bit more time on my hands. Inspired by my brief but amazing time in Japan, here's a look at what makes Japan one of the most unique and amazing places on Earth! 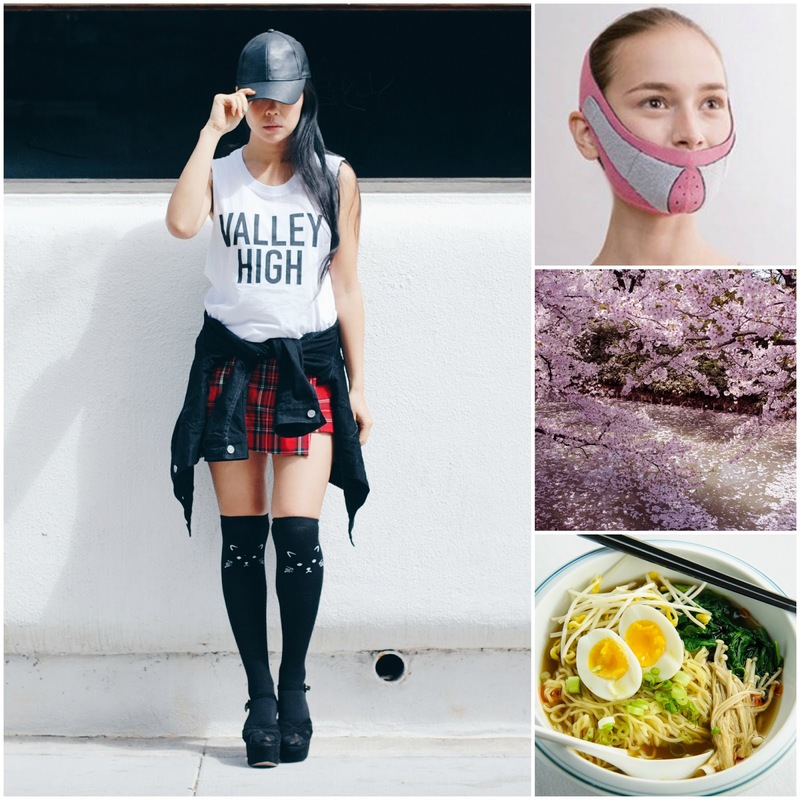 Although Japan is infamous for its Harajuku street style, the anime inspired style is contained to just a few areas in Tokyo as pervading Tokyo street style is edgy school girl punk meets utilitarianism. Black, grey, and other neutrals make up the color palette while billowy silhouettes and androgynous proportions dominate. It's no secret Japan boasts the highest life expectancy of all major countries and it's largely due to their healthy habits. Not only are diets made up of heart healthy protein like soy and fish, the Japanese also practice Hara Hachi Bu, eating until you're 80% full which prevents weight-related illnesses. Exercise is built into their daily lives as most people walk, bike, or take public transportation to work. Most people in Japan also sip on antioxidant rich green tea throughout the day which helps suppress appetite while burning fat. I had no problem slurping and scarfing down the bowl of ramen during our Nagano "Share" detour. I love Japanese food and grew up eating noodles so I'm quite the expert slurper! I was so bummed we didn't get to eat our way through Japan as I hear the restaurants are the best in the world. Aside from traditional cuisines like sushi and noodles, there is a new crop of uniquely themed restaurants popping up everywhere. There's the Robot restaurant, the planetarium bar so you can stare into the stars while you drink, Alice in Wonderland themed restaurants, owl and cat cafes, and even a restaurant where you eat what you catch. You can count on the Japanese to get down with all kinds of interesting beauty gadgets. There are chin straps designed to lift and contour your face, mouth guards for face workouts, and even nose contraptions to achieve a nonsurgical nose job. Girls are also obsessed with looking like dolls as circle lens, black liquid eyeliner, and false lashes are a few of the most popular beauty items. Taking the bullet train from Tokyo to Nagano was a breathtaking experience as we were treated to dramatic mountainscape and sprawling valleys. Nagano is a small city with ancient roots as its many temples and parks highlight traditional architecture grounded in detailed carvings. Aside from going back to Nagano, I'd love to visit the hot springs in Kyoto, take outfit photos under cherry blossom trees in Osaka, and ski and eat my way through Hokkaido. I can't wait to go back to Japan! But for now, it's full speed ahead! Where are we headed to next on our race around the world? Can we keep our lead? Tune in Friday at 8pm on CBS to find out!